“I’ve had one of those ‘brilliant careers’ – genuinely." But she’s not daunted. In fact, she’s encouraged to speak her mind. “Being a senior female leader in any relatively technical area means you’re often the only woman in the room, or one of a small number,” she tells CIO Australia. She admits she has worked in environments in the past where it was “difficult being a rarity” but in her current role it hasn’t been an issue. Certainly, Milosavljevic - who was appointed the NSW Government’s inaugural CISO in May 2017 - has already led an interesting life and notable career. She joined the NSW Government from AUSTRAC, where she held the position of chief information security officer and chief innovation officer. 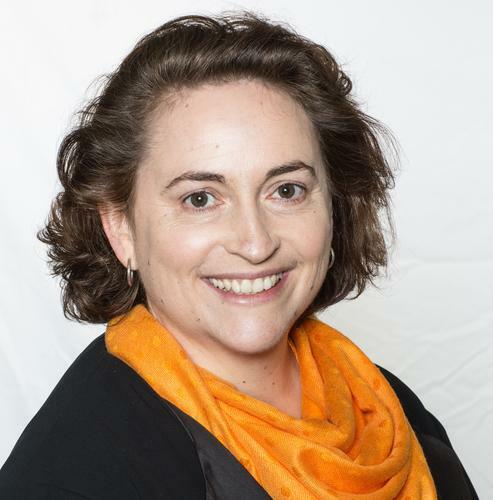 She has also held a number of senior roles in the private sector and has been an adjunct professor at the University of Canberra and is now an honorary professor at ANU. Interestingly, she can also boast about developing some groundbreaking research and technological innovation. “I’ve had one of those ‘brilliant careers’ – genuinely. I’ve been fortunate to have experienced some amazing things,” she says. “It all started when I was an undergraduate student. I had never intended to major in computer science – quite the opposite. But I studied artificial intelligence in my second year and I fell in love with it. Since then, she’s done a few more world-firsts. “Perhaps the most significant was the first AI-generated adaptive website in the world in early 1995 for my PhD. I wrote academic papers on personalisation and using information gathered about customers to reason intelligently about them – their knowledge, behaviour, understanding – and to adapt content to them. But what she’s most proud of is the work she undertook in intelligence agencies over the past eight years. First, in designing and building the Fusion capability at the Australian Crime Commission (ACC) and then at AUSTRAC, building the Fintel Alliance capabilities. “Both these transformation programs resulted in enormous efficiency and effectiveness gains for these agencies. Some tasks that were previously impossible for analysts were made possible and where we were only able to digest small amounts of structured data well (and not in a timely manner by any stretch of the imagination) we were able to ingest almost anything – in seconds to minutes. So what’s on her plate as the state government’s inaugural CSIO? For starters, Milosavljevic has worked over the past year to strengthen the government’s cyber security network. No doubt her appointment was timely given cyber risk and security has emerged as one of the most high profile, borderless and rapidly evolving risks facing government. As such, as the inaugural GCISO she has worked across the NSW Government and consulted with industry leaders and research groups, as well as Commonwealth, state and overseas governments to ensure what she said is a “collaborative approach” to cyber security. Indeed, it’s “exciting times” for Milosavljevic who said a NSW cyber security strategy that contains a detailed action plan is imminent and will soon be launched by Minister Victor Dominello. The details of which are still a tightly kept secret. Meanwhile, another big priority for Milosavljevic in 2018 is building the team. The department obtained funding this year and are currently in recruitment mode. Read more AI to become next Australian Prime Minister? On the staffing front, she bucked the trend early in the role and hired four women into the cyber team, an unusual scenario in a typically male-dominated domain. Cyber team: (L to R): Diana Drooj, Ivana Stojnic (seconded from NSW Department of Industry), Dr Maria Milosavljevic, Rachael Fraher (seconded from DFSI Policy), Geraldine Baldock. “When I first started, I hired an executive support officer and a policy officer from the department was seconded across. Three women. Then, much to my surprise, we managed to find an incredibly talented cyber security technical analyst in the refugee program – her skills were so valuable and we were both very happy to find each other. Four women. Then I asked for secondees from across government and the first one was a woman. Five women, zero men. She's also spent a lot of time this year drafting a whole-of-government cyber incident management arrangements in addition to updating policies and standards, starting with the Digital Information Security Policy. In that vein, the department has undertaken two whole-of-government exercises already this year and have two more coming up, which will involve a broader and more senior level of participants. Milosavljevic said one of her top challenges is prioritisation - a constant battle she must face. Another set of challenges has come on the governance front. One of the very first things she did in the new role was to assess governance and make sure it was right, which was no easy feat. “Although we’ve all done information security for a very long time, the rapid rise of ‘digital everything’ in our world means that cyber security has broadened beyond information and become a much more important area to focus attention on. But this means that everyone’s previous governance structures need to catch up. Just like we see a lot of emphasis on cyber security being elevated to company boards, so too do we need to make sure we get this right in government. Some of her other top challenges include ‘learning the ropes’ and understanding a new government - she had worked in Commonwealth so NSW was a new landscape. She is also tasked with getting to know a vast range of stakeholders - a scenario that puts her typically quiet nature to the test. Asked what type of leader she is, Milosavljevic said she’s attracted to solving complex challenges where she can break new ground, set the vision and collaborate with others. “I’m very strategic and collaborative. I’m not a maintainer. I’m an innovator and entrepreneurial perhaps,” she says. Indeed, being a collaborator is a key part of her nature - a handy skill given she’s routinely worked with her GCISO counterparts across Australia, and in her previous role at AUSTRAC in performing international collaboration across borders. In wearing her ‘collaborator hat’, she particularly enjoys working with her fellow GCISOs across the country.